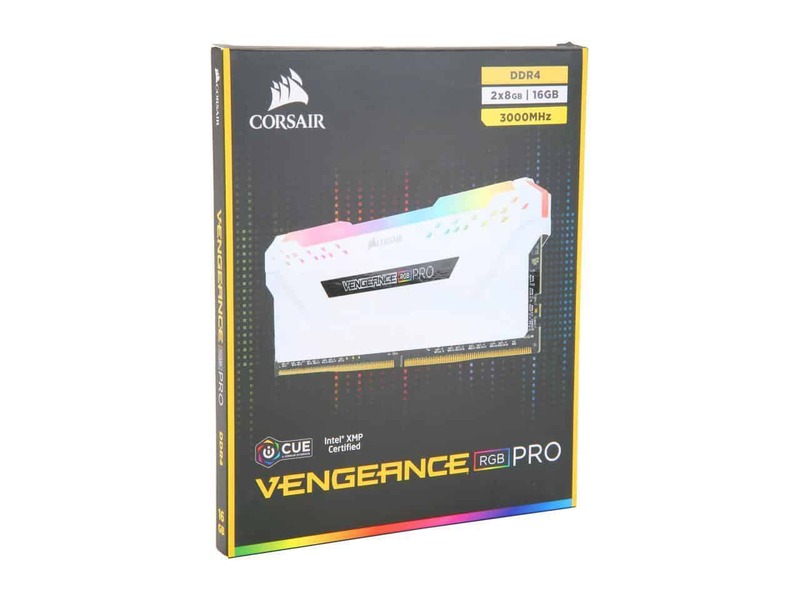 What RAM Speed Do I Need? Perusing your favorite retailer’s stock of RAM, it can quickly become a confusing task deciphering the various specifications, notably when comes down to speed. 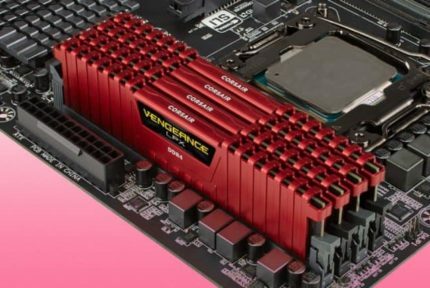 With a litany of speed options from 1066 MHz to 4800 MHz and everything in between, how much does RAM speed matter and what speed do you need? Why Does RAM Speed Matter? 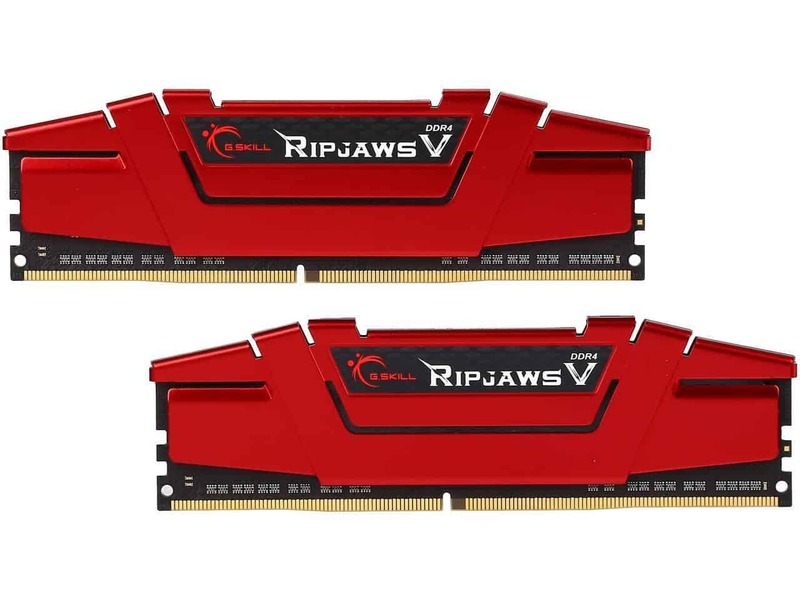 Does RAM Speed Improve Performance? To start, it’s worth having at least a basic understanding of what RAM speed means as it differs considerably from the other most common MHz speed we encounter in computing; CPU speeds. Like CPU speeds, MHz is the measure of RAM speeds or frequencies, where 1 Hz equates to one clock cycle per second. For example, RAM with 2400MHz can send 240,000,0000 chunks of data per second. However, RAM doesn’t compute data like the CPU and merely acts as an extremely fast storehouse for data. It both sends data to the CPU for processing and forwards processed data on to other components like SSDs, GPUs, USB controllers, network adapter, etc. RAM speed essentially means bandwidth. The rate, therefore, determines how much bandwidth there is between the RAM and the CPU or in other words the maximum amount of data that can be transferred between the two components at any given moment. To explain this, let’s take the allegory of a lumber yard. The CPU is a high powered sawmill and the RAM a storehouse. The RAM speed dictates how much wood the storehouse can supply to the mill. Let’s say the mill can process 2400 logs per day. The storehouse needs to provide at the very least 2400 logs per day to keep the mill running at maximum efficiency. Otherwise, the sawmill will have downtime causing the whole lumber apparatus to slow down. The manufacturing chain, notably the trucks that carry the milled wood from the lumber yard to the warehouse for distribution, are dependent on the storehouse providing sufficient logs to keep the whole system running smoothly. In the context of a PC, if the RAM speed is slower than the maximum stable speed supported by the CPU/motherboard, it hampers and corrals the performance of the PC to levels below its full potential. In other words, a bottleneck. As you can see RAM speeds work in very much the same way as RAM amount, whereby below a certain threshold a lack of speed has severe repercussions on the performance of the machine. Following that thread, beyond a certain limit, RAM speeds provide marginal improvements as the CPU is being supplied with all the data it could process, or at least, this is the case in theory. CPU manufacturers Intel and AMD provide detailed specifications for their CPU, and under the memory specs you’ll find the memory type and maximum frequency supported, for example, the Intel i9-7900x CPU supports DDR4-2666. Confusingly, this measure represents the official supported frequency that the manufacturer deems stable, but isn’t, in fact, the maximum frequency the CPU can handle. In essence, any speed beyond the supported rate is considered ‘’overclocked’’, and the manufacturer cannot guarantee stable performance. All this doesn’t mean it won’t work, and many PC users regularly use higher rates to the point that RAM companies offer speeds up to 4800 MHz as we discussed above. 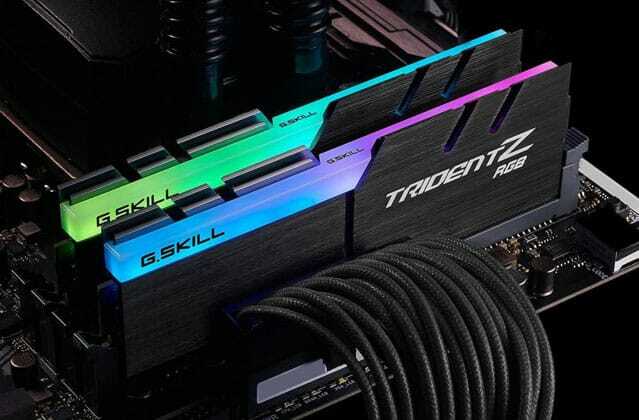 Overclocking RAM involves changing the BIOS to read what is called an XMP profile that then uses the full rate of the RAM with wavering results. Pushing the CPU/motherboard combo to read RAM speeds beyond the supported median can cause crashes and boot issues. Similarly, motherboards also have a limit on what RAM speed they support. The ranges are much higher than CPUs, but there’s no sense buying 4800 MHz RAM with a motherboard that only supports 3333MHz. Technicalities aside, do speeds improve performance? The answer is a wholly disappointing maybe. Take gaming; the results depend greatly on the game and whether it crutches heavily on RAM or not. If improvements are there, then these can be measured in an increase in FPS anywhere from 1 to 10 frames, but this again varies significantly on the other components within the PC alongside the RAM speed. Higher RAM speeds with a slow CPU or budget GPU won’t improve the gaming experience at all. If you have 1600MHz RAM but your CPU/motherboard support up to 2666MHz, then investing in faster RAM will more than likely make a tangible difference. Improvements do tend to tail off over 3200 MHz as the increase in speed causes more issues that it improves performance. 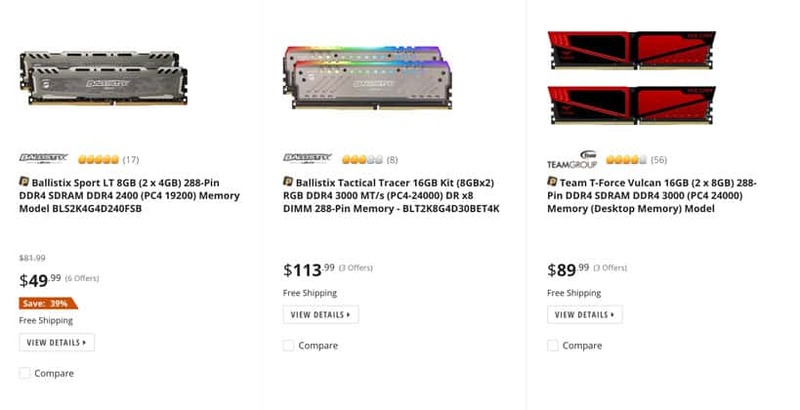 The most significant differentiating factor between RAM speeds is the price. The higher the MHz rating, the more expensive the stick of RAM. As with every aspect of building or upgrading a PC, the budget is the judge of whether opting for a slower or higher speed is a sensible move. 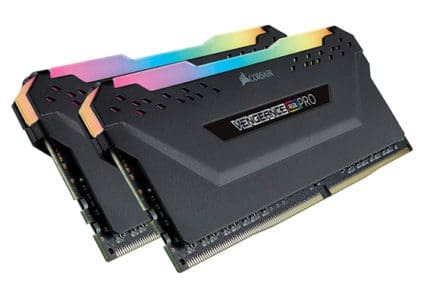 When weighing up the purchase of RAM with a higher speed or funneling the funds into a better GPU or CPU, the difference a 4266MHz stick of RAM provides in comparison to a graphics card with more VRAM is negligible. The same can be said for buying a better CPU with extra cores and a higher clock rate over a higher RAM frequency. With this in mind, go by the mantra that money is better spent on other components as long as you’ve factored in having at least 8 to 16GB of RAM. With all that behind us, we return to the all-important question of what RAM speed do you need. There’s no clear cut answer, but gun to our head, for most users we recommend getting the maximum rate supported by the CPU/motherboard. If you have the budget and are inclined to tinker with the BIOS and XMP profiles, not to say have a lot of free time to experiment, then we recommend curtailing your desire to max out speeds and settle with 3200MHz. How Much Does RAM Affect Gaming?